The Australians may or may not succeed in mastering reverse swing in the limited time they have had between Tests, but Rahul Dravid isn’t the kind who would take a chance. Gary Kirsten had scuffed the new ball on one side and ready to give Dravid some throw downs. 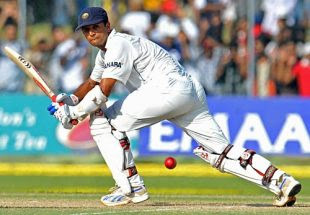 The India coach did manage to sneak a few balls through Dravid’s defence, but that’s what the India No. 3 will try to avoid in the third Test. “It has been little disappointing for me. I played on good wickets in Bangalore and Mohali but couldn’t convert the good starts. Generally, when I am batting well, I know that runs will come and this is how I feel right now. I will just try and keep batting well, keep the routine and runs will come. As a matter of fact, my runs-per-ball average is pretty good in this series. I think you have to be a little patient and I am ready to be patient,” he said. Known to follow the basics to the T and keeping a simple approach to the game, Dravid said the bottomline of this 1-0 series margin is the fact that India played better cricket when it mattered. “Let’s try and keep things simple, there has been talk of reverse swing and certain factors outside the game but I think the reason we won was because we batted, bowled and fielded well,” he said. Personally for Dravid, Kotla has given him some good memories: “Anil’s 10 on 10 is one of them and I haven’t played a Test match where I wasn’t on the winning side. So we hope to wind up the series here,” he said, adding that the Aussies wouldn’t take things lying down. “The Mohali defeat will be hurting. They have had a lot of success over a long period of time. They have not seen many failures and would be keen to come back. 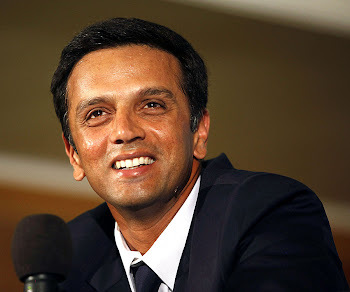 But rather than thinking about them, we will focus on our preparations,” Dravid said. Everyone is hoping for the same.